It's hard to see in the photo, but I clear-embossed the Roses All Over stamp onto both the card base and a panel of white cardstock. On the base, I then blended some distress inks in colors to match the challenge pinks. On the white panel, I die-cut a circle opening and then put together my shaker, using pinks and yellows as well as clear and marshmallow sequins. For the top panel, I die-cut two slanted sentiment strips from each of the yellow challenge colors and a pink circle from Cotton Candy. 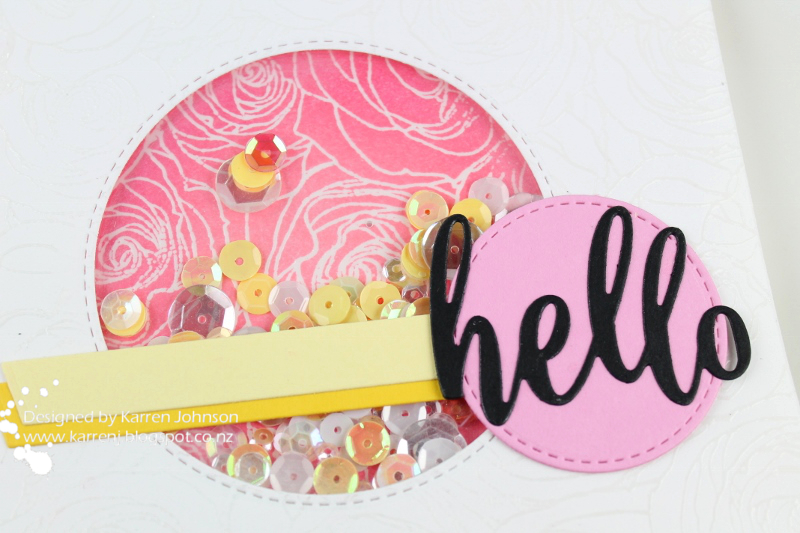 The 'hello' was die-cut from black and adhered to the pink circle. And that's it! this is so pretty Karren - I read your blog all the time - sorry I don't leave more comments - you always have such wonderful cards! 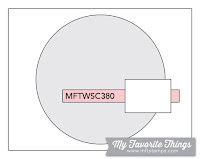 Karren thanks for reminding me how gorgeous that rose background stamp is ... it's long overdue for a stamping! A wonderful card... way to shake it up! Such a lovely use of the colors! I love the yellow sequin shaker with the pink floral background. I love these bright colors and that wonderful sparkly shaker! Way to go for combining challenges, girl! I love the rose pattern peeking through your shaker and your color palette is delightful (in this part of the world, we are desperately waiting for spring to take hold)! 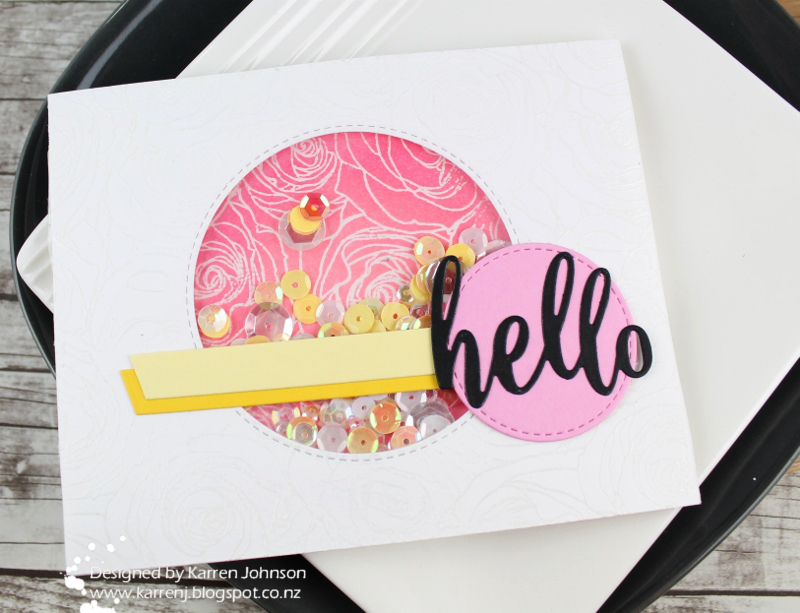 Another really pretty card, Karren! ohhh yum what a fabulous colour combo and the design with the circle of that background stamp, brilliant. My favourite card for a while now.